Interested in tracking sales growth by company size? Participate in the quarterly ASA Staffing Employment and Sales Survey now and receive an exclusive report on the results. 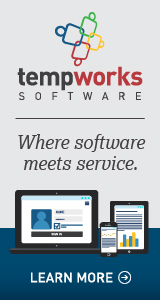 There are no fees to participate, and all U.S. staffing firms are invited to complete a survey. For the first time, ASA will be tracking temporary and contract staffing sales and gross margin data by sector. Survey participants are asked to provide data for all of the sectors in which their firms operate. ASA is currently gathering data on temporary and contract staffing sales, payroll, and employment for the first quarter of 2012. 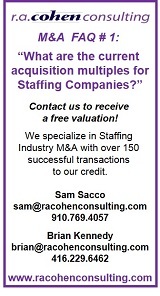 Register to take the survey or view a PDF version of the questionnaire at americanstaffing.net. This survey is conducted by ASA research partner Inavero.